This is from a friend of ours who does not have easy access to a computer – he gave me permission to use the photograph. 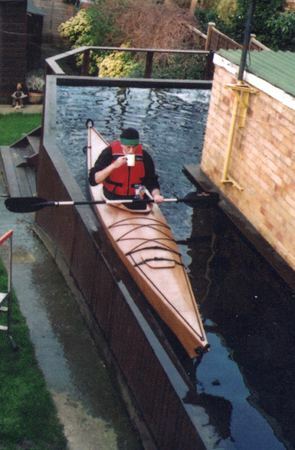 He has built several kayaks and is very keen on rough sea water kayaking especially, it seems, if there is hot cocoa to hand. Are there any charts for this sea?